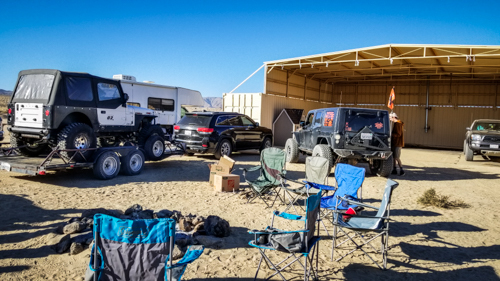 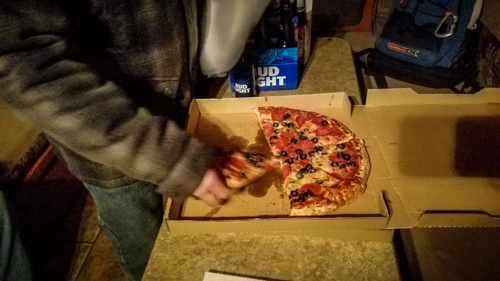 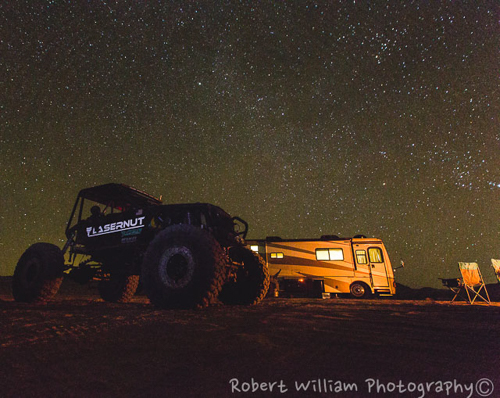 We were fortunate to be able to set up our base camp at the Lasernut Compound for the weekend which made for a great meeting spot. 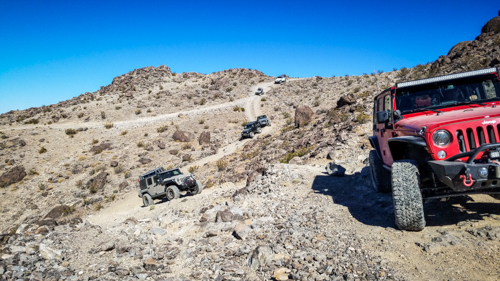 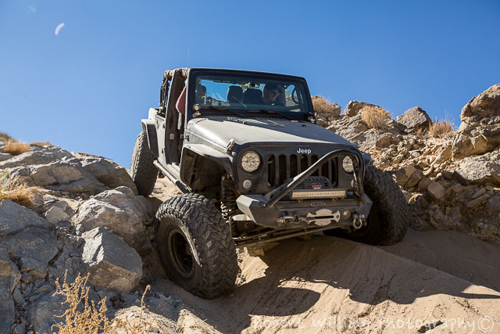 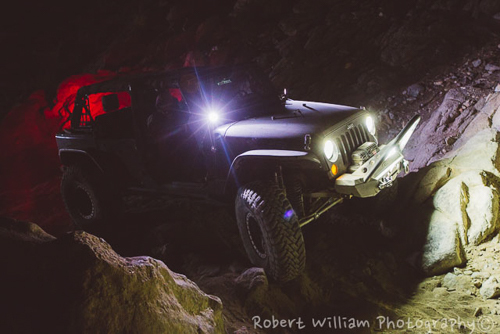 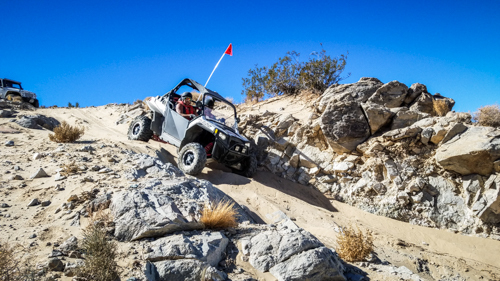 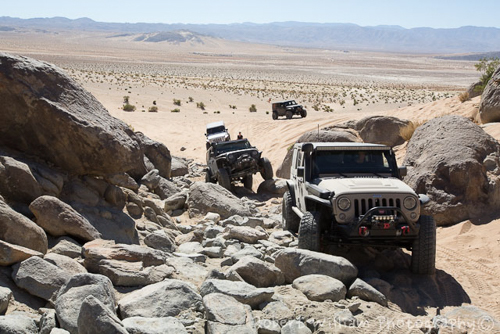 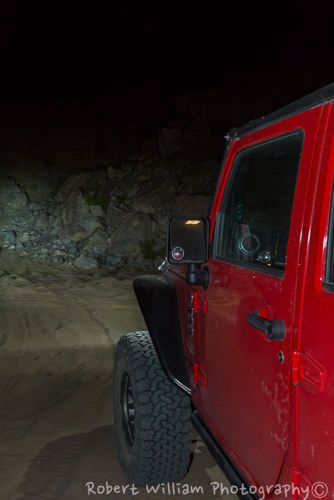 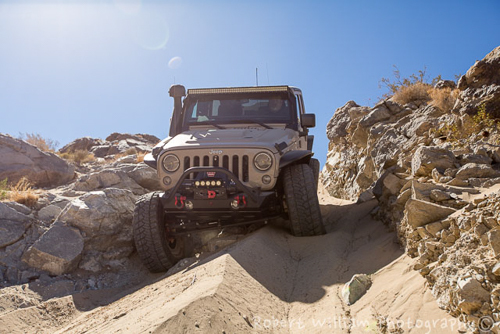 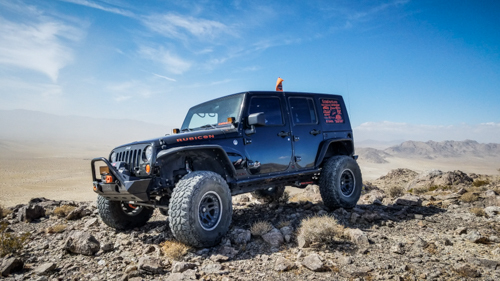 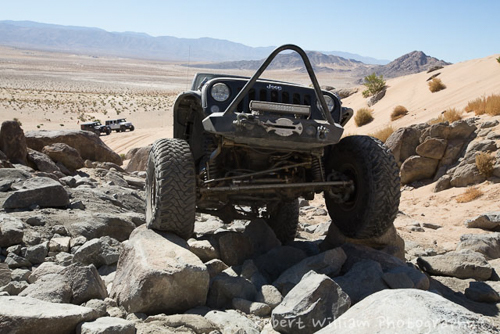 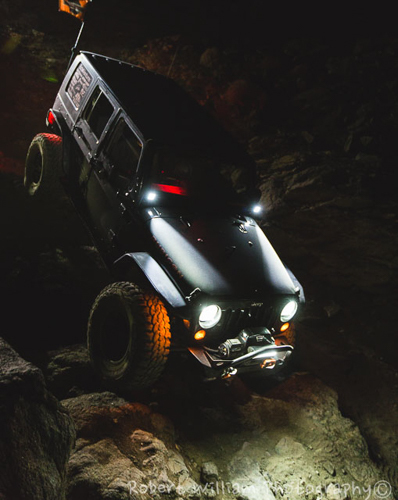 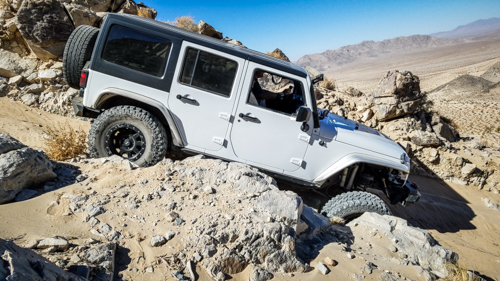 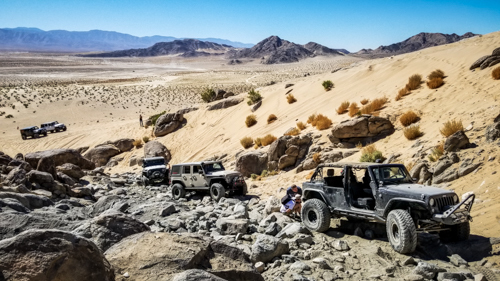 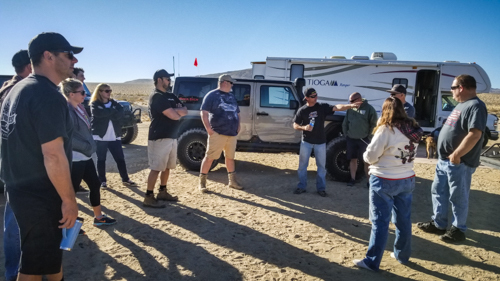 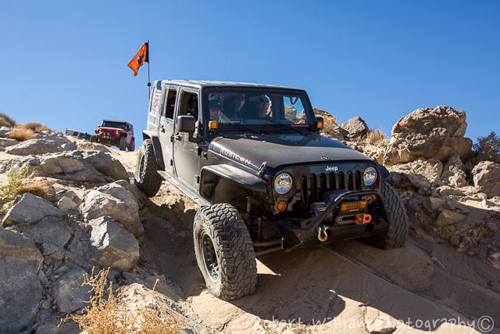 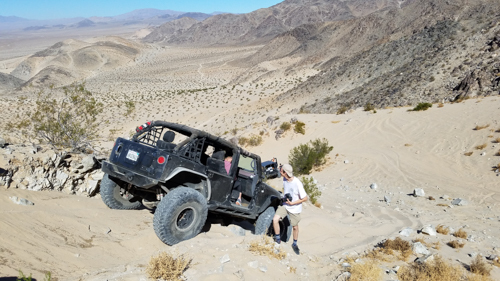 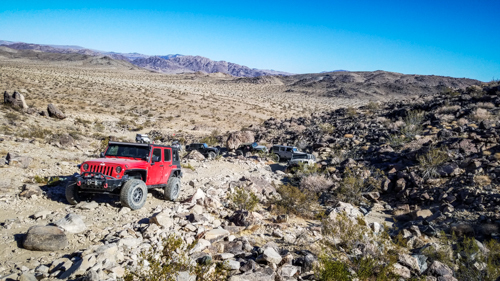 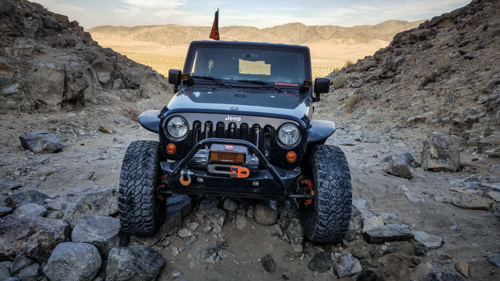 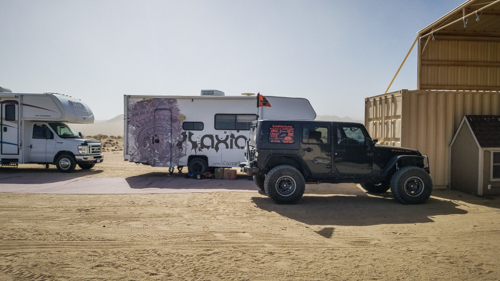 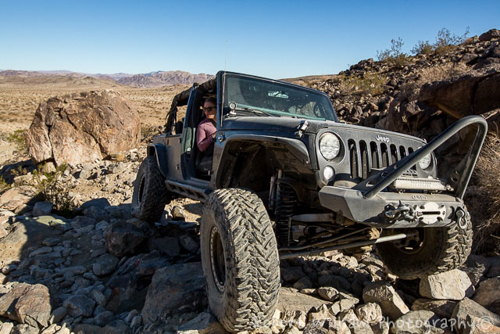 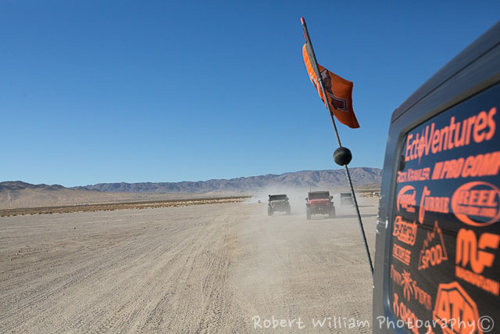 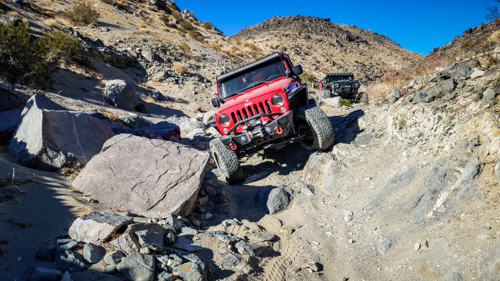 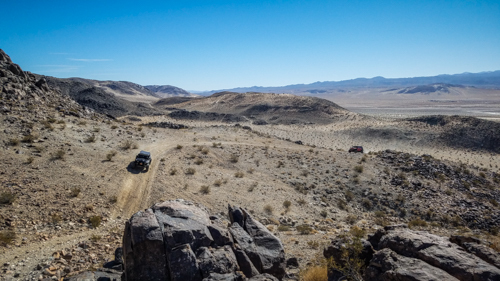 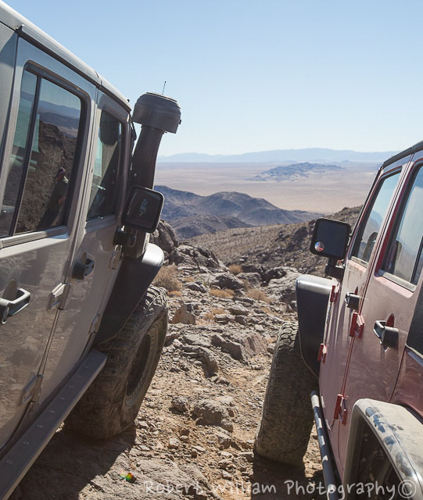 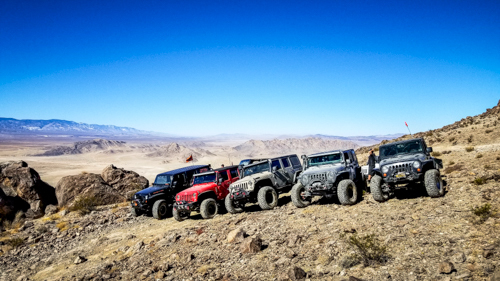 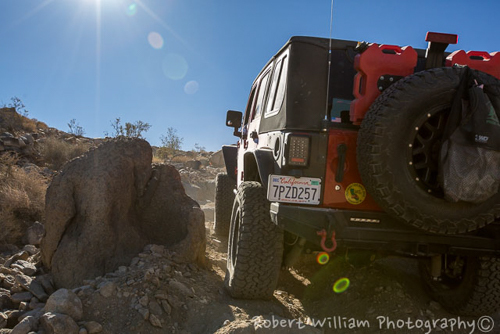 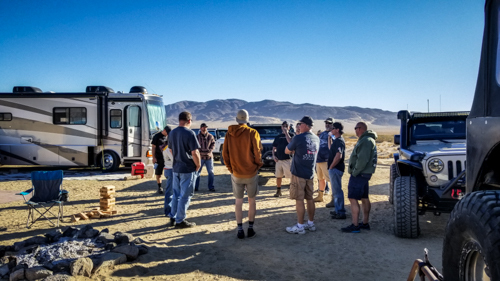 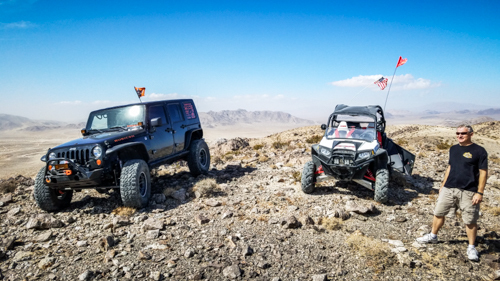 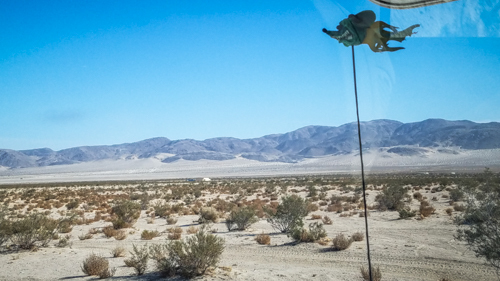 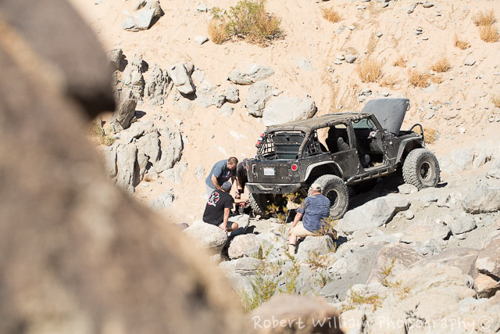 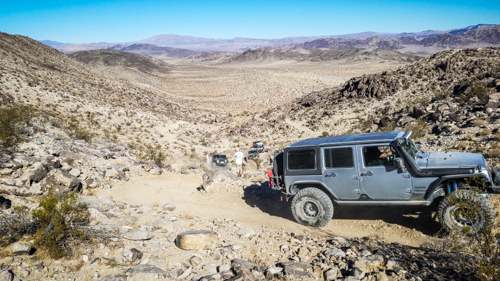 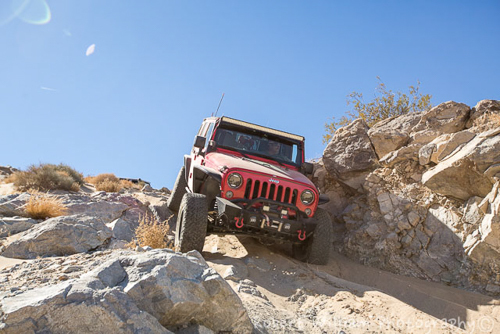 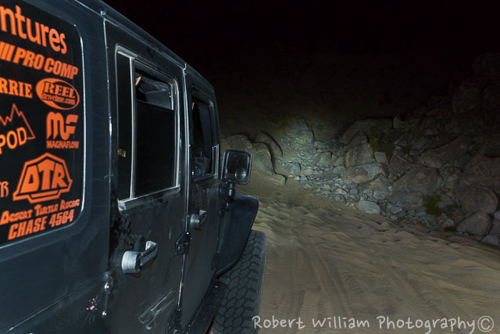 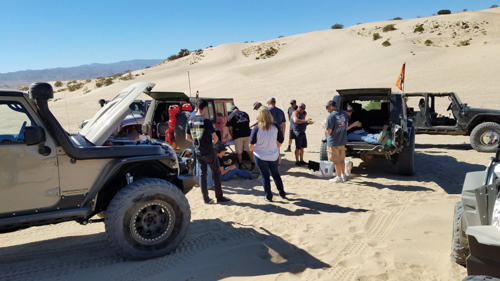 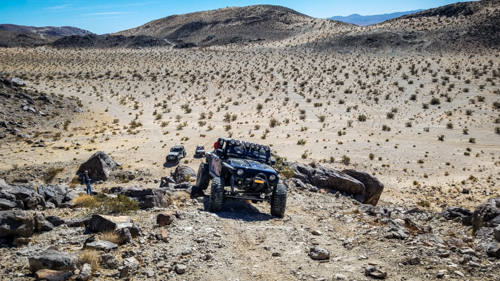 Our plan was to check out a new event called Rocktober taking place in Johnson Valley and to pre-run a route for HB Performance Offroad that we would be leading on Sunday. 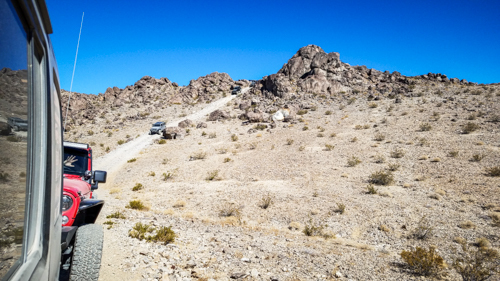 On Friday once camp was set we headed out to check out some new ground and then head over to Fissure Mtn Trail and run it from north to south. 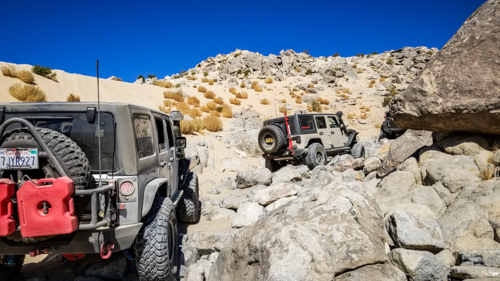 On Saturday we took a bit of a challenging way to get over and run Lower Big Johnson and then we headed over to mess around on Chocolate Thunder. 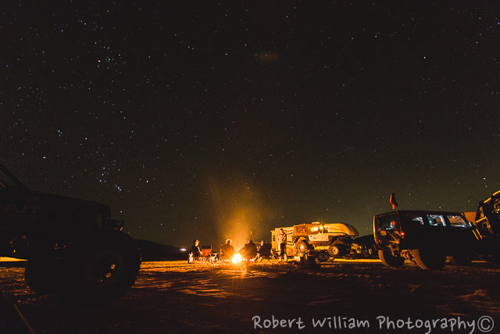 And of course Saturday night included campfire story time with some friends that were out camping with us. 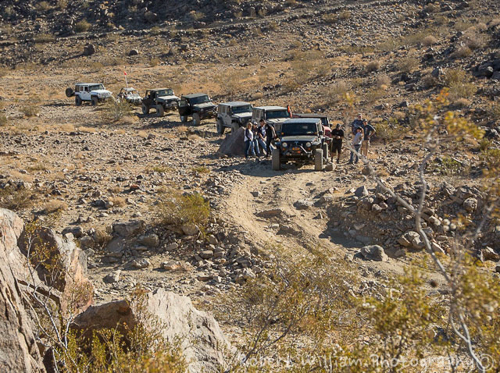 On Sunday’s daybreak, we met for a quick drivers meeting at the Lasernut Compound and then headed over to Fissure Mtn. 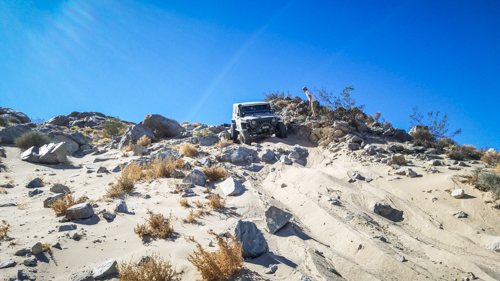 via a slightly challenging route. 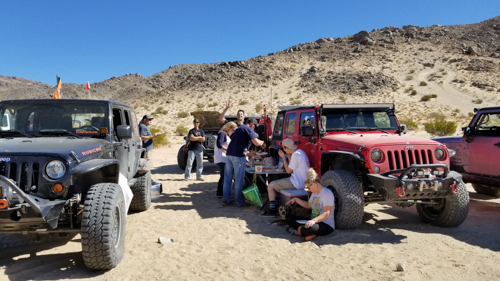 As we finished Fissure Mtn we stopped for lunch and decided to head over to Chocolate Thunder via Tack Hammer. 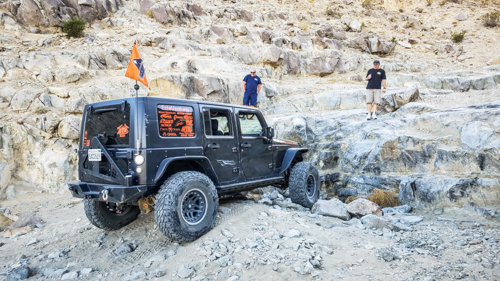 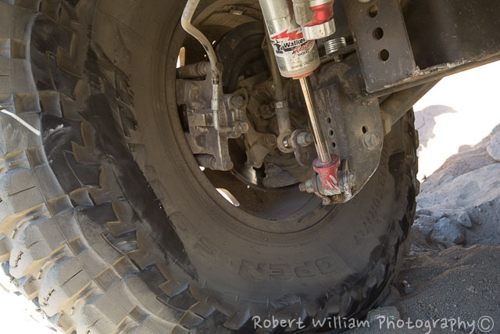 As we set into the rocks on Chocolate Thunder we had a vehicle suffer a broken brake caliper bracket which forced us to band-aid him, turn back and head for home.